Commissioned by Frieze, January 2018. 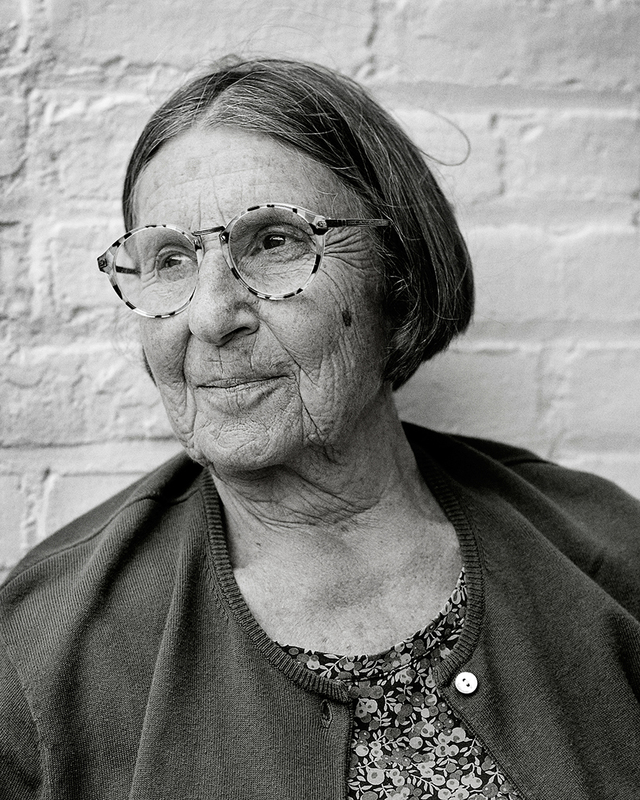 I think of Betty Woodman, a few days after she died at the age of 87, and remember her eyeglasses. They had colourful confetti frames, but were clear across the middle – so like her. Woodman had remarkable drive; for a female artist of her generation to succeed, that was an absolute requirement. Yet everything she touched was edged with delight. Her hand was sure and quick, her every mark imbued with something difficult to name. The word appreciation comes close. And the word life. Now she is gone. It is as if we had lost not just a great artist, but a whole bandwidth of the visible spectrum. Woodman began her career as a functional potter in the 1950s, when American ceramics were basically brown. Most ceramists worked in the muted tones of high-fire stoneware. She shared the central conviction of the craft movement: ‘If you have beautiful things to live with, it changes the kind of person you are.’ But she drew from an unusual palette of sources, the earthenware traditions of southerly climes: Italian majolica, Mexican redware, Tang dynasty figures, and Hispano-Moresque lusterwares. She loved pots that were fresh and loose, glazes that ‘haven’t tightened in the kiln, that stay where they’re put’. Her aesthetic was that of a painter, even a watercolourist. She wanted to bring to her recalcitrant medium a ‘kind of breath, or air’. Woodman achieved exactly that in her celebrated ‘Pillow Pitchers’, a series she began around 1970. They embodied her transition from functional to sculptural concerns: the upper extremity of a jug sprouting from a swelling cushion, whose broad surfaces act as a canvas. Pottery and painting, painting and pottery: for her, it was the great romance. In the 1980s Woodman made Janus-faced vases, dead flat on one side and volumetric on the other – vessels backing into their own representations. She also made triptychs of pots with handle-like cutouts attached, another pairing of round and flat. Noticing the importance of silhouette in these arrangements, she took a figural turn, bringing dance and fashion references into the work. Her iconography expanded to include Japanese references, the graphic asymmetry of ukiyo-e prints and the glorious fabrics of kimonos. Through it all, Woodman used the wheel as a form generator. She might throw a large disk of clay, then elongate it by slapping it against a canvas-covered board. She would then cut up this stretched oblong and use the pieces to collage her forms. Sometimes, you can still see the spiral motion of her throwing; always, you can feel it. This was typical of the way that Woodman re-imagined conventional techniques. She never abandoned studio pottery; she took it along with her, as if guiding a well-loved friend by the hand. For all the joy she threw our way, Woodman’s work also had an argument in it. Like other artists associated with the Pattern and Decoration Movement of the late 1970s and early ’80s (among them her friends Cynthia Carlson, Joyce Kozloff and Robert Kushner), her work is art/craft, domestic/public, serious/fun. It postulates an untroubled, non-hierarchical situation for ceramics that had never previously existed, and mostly still doesn’t. When her sculptures were acquired by major museums like the Metropolitan Museum of Art and MoMA, they were often set out in the lobby with flowers in them. Another artist might have objected to such treatment, but to Woodman it felt just fine. When a visitor entered, hers was the first work they saw, offering its warm welcome. What could be wrong with that? Eventually Woodman’s confidence was rewarded by a major exhibition at the Metropolitan Museum of Art, curated by Jane Adlin, in 2006. This was the Met’s first-ever retrospective of a living woman artist. That is pretty shocking, as is the fact that no ceramic artist has been so honoured since. As Woodman always said, when it came to art-world success, the fact that she worked in clay was always a bigger problem to overcome than her gender. Characteristically, after the Met exhibition she became still more ambitious. 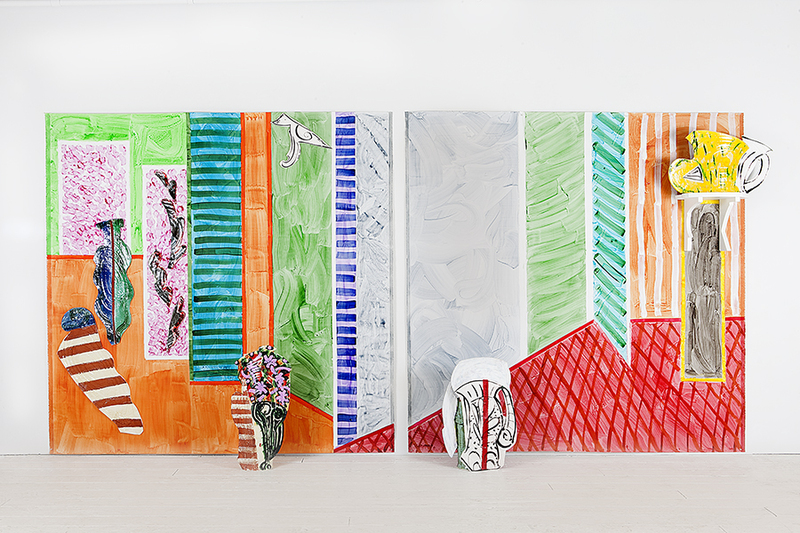 (As she put it in an interview accompanying her solo show at London’s ICA, which followed in 2016: ‘What was I supposed to do, crawl into the corner and go away?’) She began making huge installations: spidery wall-sized collages made from individual bits of clay, leftovers from her other projects, with painted backdrops evocative of Pierre Bonnard and Henri Matisse, or simply of theatrical set design, with vessel forms once again playing the leading role. Today, as ceramic art has come into vogue in museums and the marketplace, many younger artists are looking to her as a model. They could scarcely do better. She exemplified the fact that art of any medium constitutes its own inexhaustible permission. Under her wings, there is plenty of room to take flight.